Robert Louis Stevenson | Magazines and Monsters! This film is the best adaptation I’ve ever seen of the Robert Louis Stevenson story. It’s also the only film I’ve ever seen where Christopher Lee goes out like a punk. 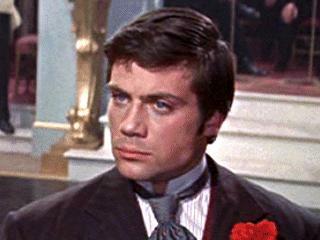 Oh, and so does the rough and tumble Oliver Reed! Hold on, we’re getting ahead of ourselves! Let me start out by simply saying that this movie is one of the most entertaining films you’ll ever see. Certainly one of Hammer’s best, and Terence Fisher, Michael Carreras, and the rest of the crew are who we have to thank for that! Lets get down to the film, shall we? The opening scene shows Dr. Henry Jekyll (Paul Massie), and a colleague of his, Dr. Littauer (David Kossoff), as the two men observe, and discuss a group of children playing in his garden. They see two of the children get into a fight, and Jekyll believes that there is something inside each human being, a dark side, if you will, that is merely a slight push away from coming out. Dr. Littauer thinks Jekyll is off in his assessment, and feels he’s pushing himself too hard in his laboratory, and should take a break. Jekyll then brings him into his lab, and shows him his progress. He injects a serum into the animal, and it goes wild. 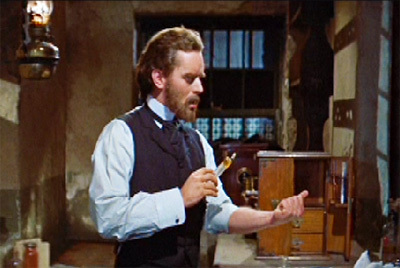 He explains to Dr. Littauer, that he can harness that evil side of man, and will do miraculous things with this serum. 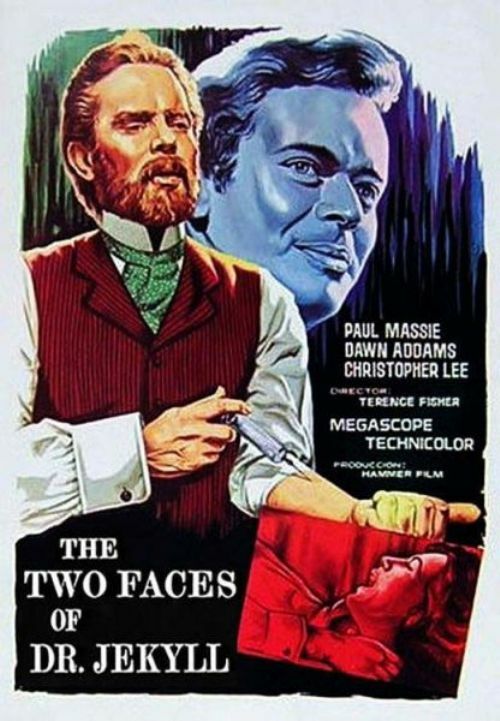 Next, we see Paul Allen (Christopher Lee), an old friend of Jekyll’s, as he shows his “true colors” immediately, by asking Jekyll for money to pay off his gambling loans, and also by kissing his wife! Yes, Paul and Kitty (Dawn Addams), we are led to believe that they’ve had a relationship for some time. Later, Kitty tells Jekyll that she’s going out for the evening, but Jekyll tells her to go alone, as he has work to complete. 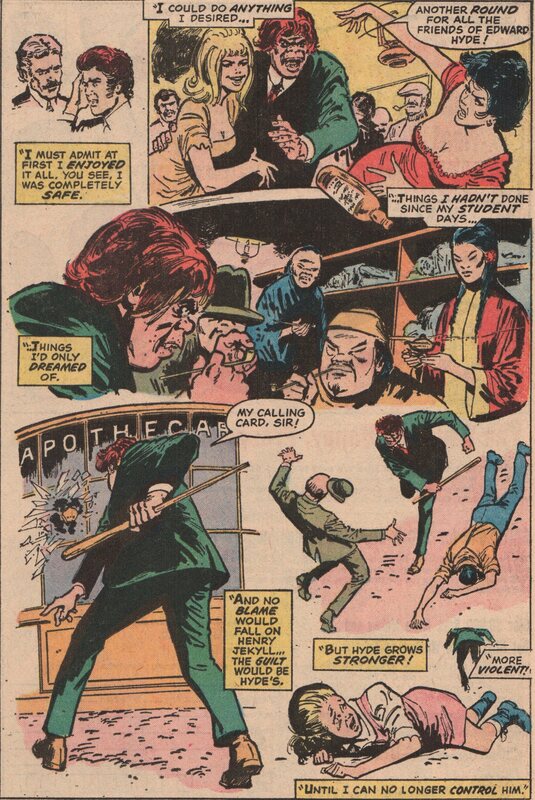 She leaves, and then Jekyll injects himself with the serum. At a local club, Kitty and Paul are having a good time, dancing and drinking. As Jekyll awakens from passing out, we see that he’s changed, but not into a gruesome monster, but just the face of a different, ordinary man (he does look a bit off kilter, but not deranged or like a monster in other films). Jekyll then goes to the club, and is approached by two prostitutes. He dances with one of them, but then notices Kitty and Paul in the corner at a table. He disengages from the prostitute, and she gets angry because he didn’t give her any money. 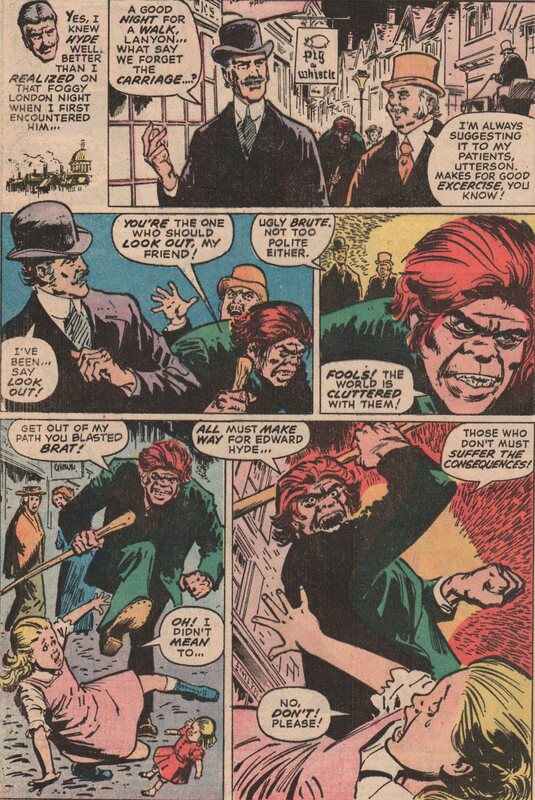 Jekyll walks over to Paul and Kitty, and tells them that he’s an old friend of Dr. Jekyll’s, named Edward Hyde! The three talk for a while, but then Kitty gets mad at Paul and asks Hyde to dance with her. He does, and Paul gets jealous. The two finish, but then the prostitute and the club bouncer (Oliver Reed-pic below) approach Hyde about the earlier incident. Paul and Hyde bet the crap out of him, and then leave for the night. 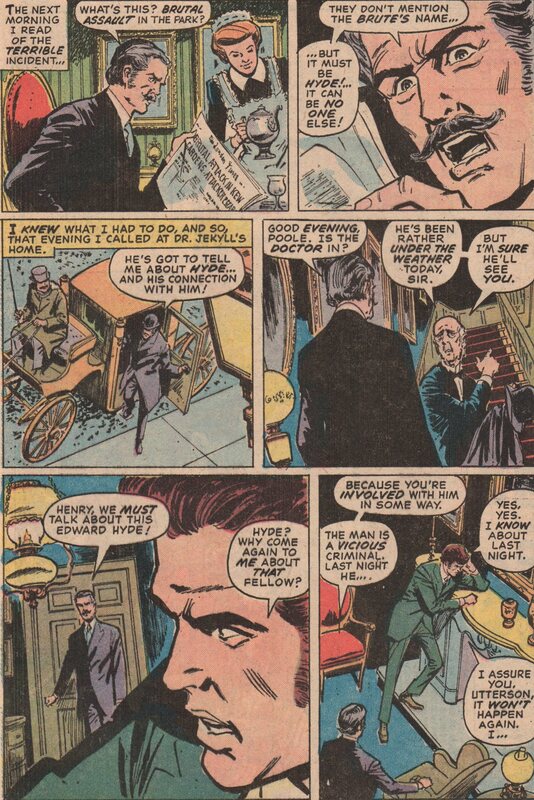 Back at the house, Jekyll is back to his old “self”, and is destroyed knowing that Kitty and Paul are having an affair. He tries to talk to her about their relationship, but she scoffs at him, and then goes to sleep. 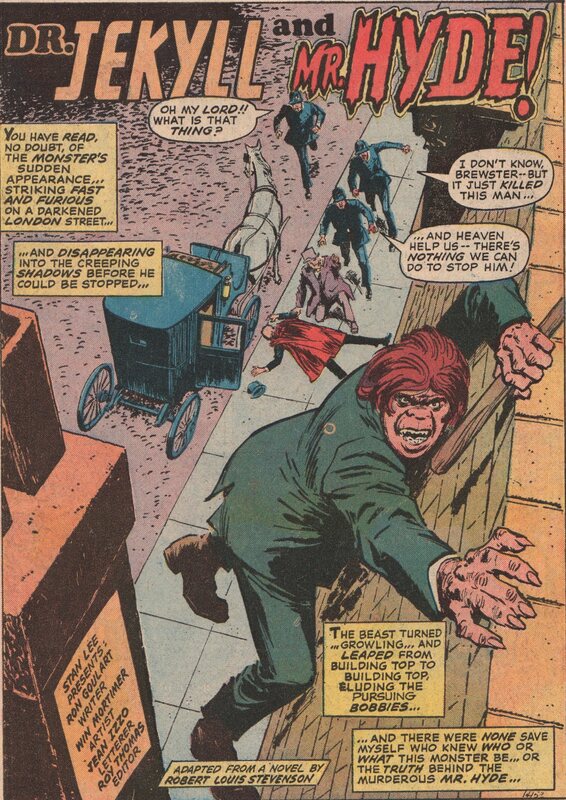 As the film proceeds, Jekyll begins to lose his grip on reality, and Edward Hyde is more than happy to take the reins. He concocts a plan to win Kitty over, but she tells him that no matter how unscrupulous Paul is, she’d never leave him, especially not for Hyde, because she finds him repulsive. This sets off Hyde even more, and he and Paul explore some of the more seedy parts of London. After a weeks time, Hyde tells Paul that he wants Kitty, and Paul, who actually seems to have feelings for her, is shocked at the request, and leaves Hyde on his own for good. In the meantime, Hyde has developed a bit of a relationship with an exotic dancer from the club, that does some tricks with a snake, during her show. 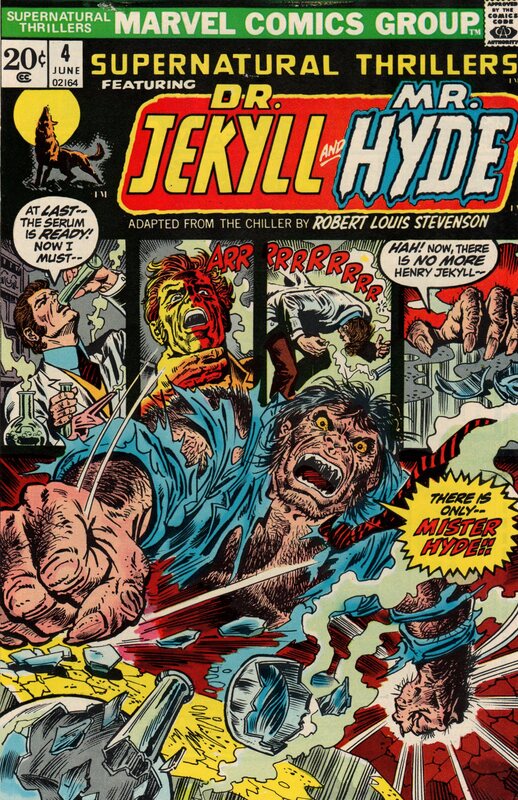 In the end, Hyde puts another plan in motion to kill everyone, including Jekyll! Sound crazy? It is and it is not at the same time. There’s only one way to find out what happens in this crazy psychological thriller! As I said before, this film is absolutely entertaining. The cast is marvelous, and really carries this film to great heights. Paul Massie delivers an incredible performance, both as Jekyll and Hyde. His portrayal as Hyde really steals the show though, but Christopher Lee adds his normal brilliance to the film as well. You know you can always count on him to deliver, and this role, which is more of an opposite than what we’re used to seeing, really is one that makes him ascend above most others in the genre (or any genre for that matter). Two more things of note. The musical score was fantastic in this one, and we have David Heneker & Monty Norman. The music was really strong and lent itself to the more critical scenes of the movie. Secondly, we must give a shout out to Mayo (Antoine Malliarakis) for the beautiful costume designs in this film. Many scenes were filmed in the “club” scenes, and the costumes were fabulous! 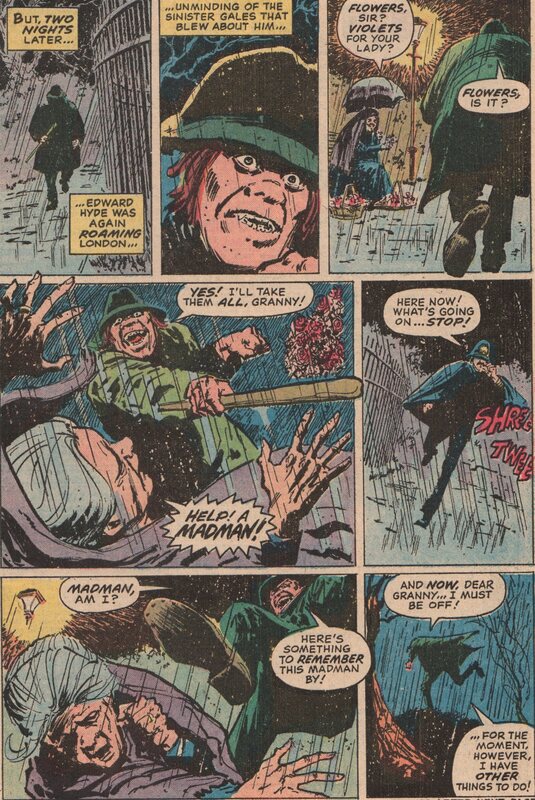 Get out and grab this one, as it’s in a cool four movie set called “Hammer Films: Four Creepy Classics”! A great set that has three other Hammer favorites, and doesn’t disappoint.